FOSH?? What on earth is that? 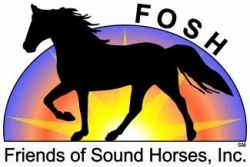 FOSH is an acronym that stands for "Friends of Sound Horses". 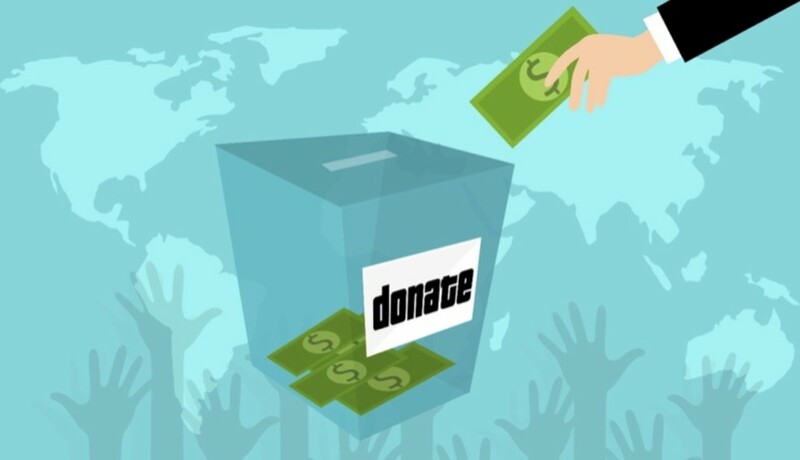 FOSH is incorporated as a public benefit, and is a humane and educational organization. 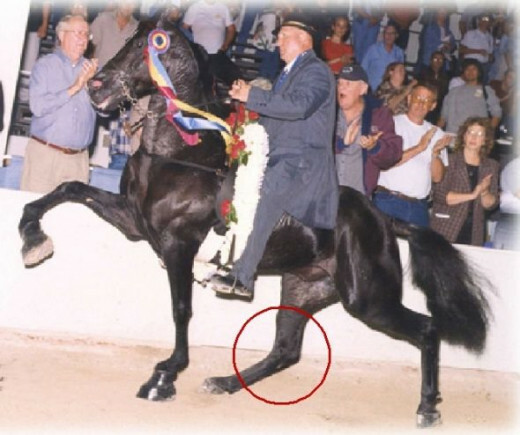 Its purpose is to provide information to the public about the humane care, treatment and training of gaited horses, with a special emphasis on the Tennessee Walking Horse, and to promote the exhibition of the flat shod and barefoot Walking Horse at competitions designed to showcase the natural gaited pleasure walking horse. They also educate people about a deplorable practice that has been in use for years and is every gaited horse's worst nightmare: Soring. 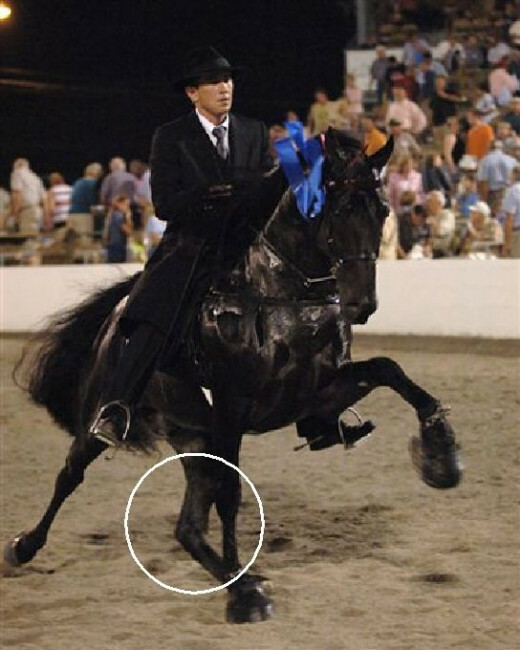 Soring is a process of intentionally causing pain to a horse's front legs and hoofs to enhance a gaited horse's movement in the show ring. Soring is illegal and inhumane, but is still being practiced today in pursuit of that all important blue ribbon. How did the whole thing start anyway? Would you believe by accident? 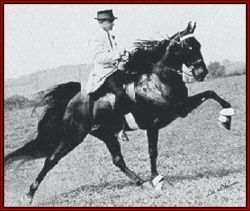 Soring began quite by accident back in the early days of the Tennessee Walking Horse breed. Shortly after the breed association was established in 1935, Walking Horses became one of the most sought after breeds on the market. Prices soared as their popularity increased. In the 1950s, the Walking Horse industry hit a slump. It was about this time that a trainer discovered that mustard oil (a caustic agent) applied to his horse's legs, caused him to step livelier. At the next show, his horse all but flew around the arena with his feet snapping off the ground as if they were on fire. Eyes rolling, he would barely set his foot on the ground before snatching it back up again. The crowd absolutely loved it. People quickly began experimenting, and before too much time had passed "everybody" was doing it. The spectators went wild for the action and the judges clearly favored those horses with the flying feet. It didn't take too long for this vicious cycle to become "the new norm". If'n he trains with chains... - Thars a shor nuff lack of brains. Throw in a little bit of a blistering agent, add some plastic wrap and presto! - You have a nicely sored horse, ready to show - and isn't it pretty?? In 1970 the Horse Protection Act (HPA) was passed which made the practice of soring illegal. Sadly, this practice continues even today. The USDA has inspectors which attend some of the shows to discourage this practice, however, budget constraints severely limit their ability to "police" all but a small number of horse shows. Initially, inspectors could simply palpate a horse's forelegs as a means to detect soring; their touch would cause the horse to flinch (indicating he had been sored) and the inspector would then know to disqualify the horse. To avoid detection and disqualification, trainers began practicing what's known as "stewarding". 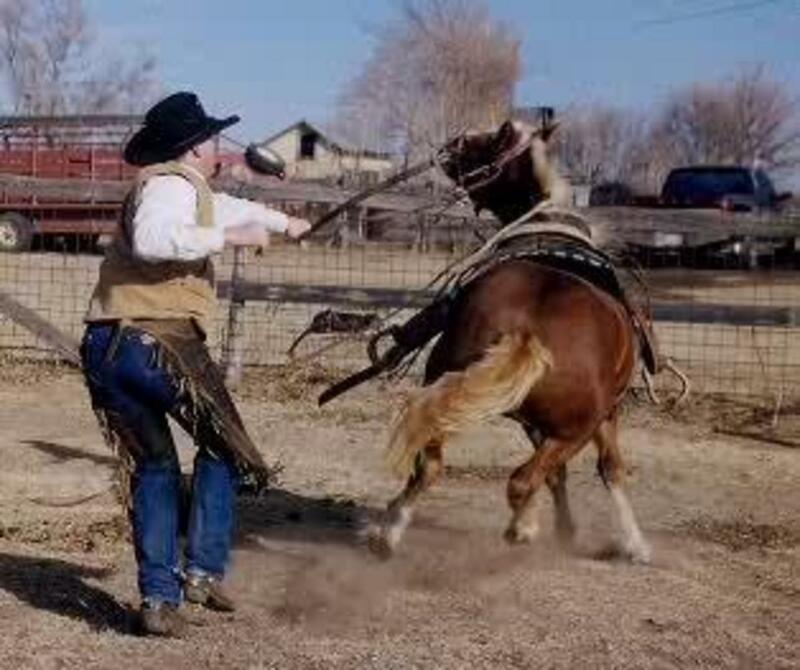 The trainers would palpate the horse just as an inspector would, and any undesired reaction by the horse (such as flinching) would result in a severe beating. Other methods include the use of alligator clips on the tongue or testicles to distract the horse from reacting to the touch. 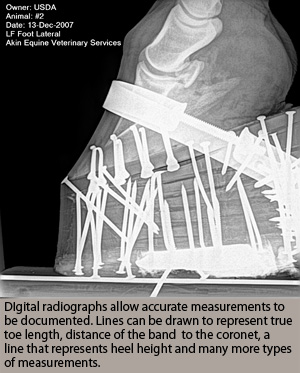 Radiographs (picture above) are now being used to detect improper treatment, but the problem of soring continues to plague the industry. 1. Those that don't know. 2. Those that don't WANT to know. To help you see the difference, look at this picture of a Walking Horse. Pay careful attention to the hocks (the area I've circled) and notice in particular the angle of both his back legs; this is what it should look like. NOTE: Horses carry 60% of their body weight on the front end. 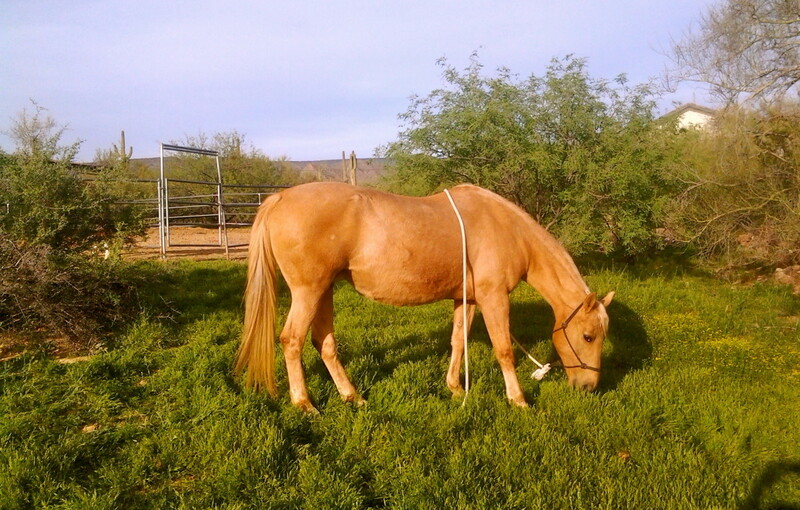 A sored horse, however, will shift as much of his weight as possible to his back end in an attempt to alleviate the pain in his front feet and forelegs. The flashy gait known as "the big lick" occurs as a direct result of the horse literally attempting to throw off or climb out of the shoes that are causing him so much agony. If you have ever seen a show, you'll notice it doesn't take very long before these poor animals are all but staggering around the ring. This is due to the overwhelming strain placed on the hind legs; which are not designed to support the bulk of a horse's weight. Although I've only circled one, you can clearly see the difference in the angles of both back legs. Added to that, his back has a definite downward slope instead of being level. You can see by the flared nostrils and overall body language that this horse is under a horrendous amount of strain to perform. Many of these horses collapse in their stalls - unable to stand - following a show. The amount of suffering this horse is enduring is clearly evident in his tortured expression. 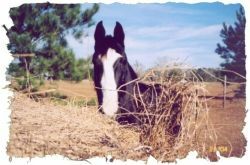 Dedicated to the protection, conservation and humane treatment of horses and all equine species. This is written by a farrier, and contains some excellent photos regarding the TWH debacle. This article is one of an excellent series written by Bonnie Erbe (for USnews.com). 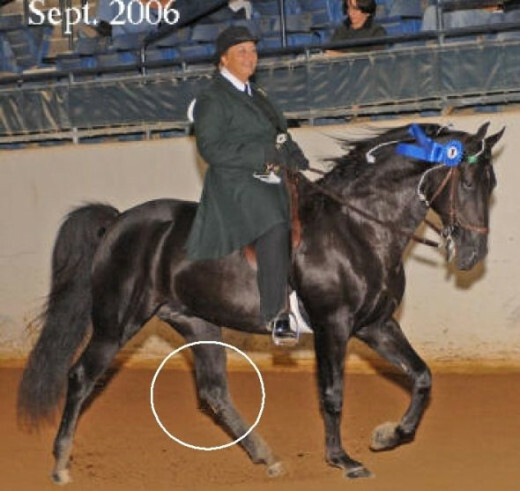 This story on the Tennessee Walking Horse industry and soring broke in May of 2012. Pay particular attention to the back legs of these horses; they should not be as shaky as they are here, nor should a horse's hind end be so much lower than the front. Personally, I happen to think that the riders look like a great big bug perched up there...a cockroach perhaps? This video was taken by someone working under cover for the Humane Society at the barn of a well known big lick "trainer". This man had already been brought up on charges of abuse, but was continuing to sore horses under someone else's name. Had you heard of soring before this lens? P.S. His 'toon is also our "mascot", did you notice? Fugly Horse of the Day offers snarky commentary on the breeding of poor quality horses, silly or abusive training techniques, and pretty much anything else that annoys us! This gal's blog is terrific. It keeps us all up to date on what's going on in the Walking Horse Industry; she doesn't pull any punches either. Thank you so much for stopping in to see us. - It may not be a very fun subject, but it sure is an important one! This is an interesting lens, and very well done my dear. You bring things to light here. Oh my! - Blessed! Shocking! Blessed by a SquidAngel for bringing this to people's attention. You should give some warning to us horse lovers at the beginning of this lens - I was shocked at the pictures even though I had heard of the practice. The things people will do for a blue ribbon are amazing. The riders don't Care?!? How can they Dare to ride? This is just terrible, I never knew about this before. How could anybody do such a thing it just makes me sick. Thanks for sharing such an important message! 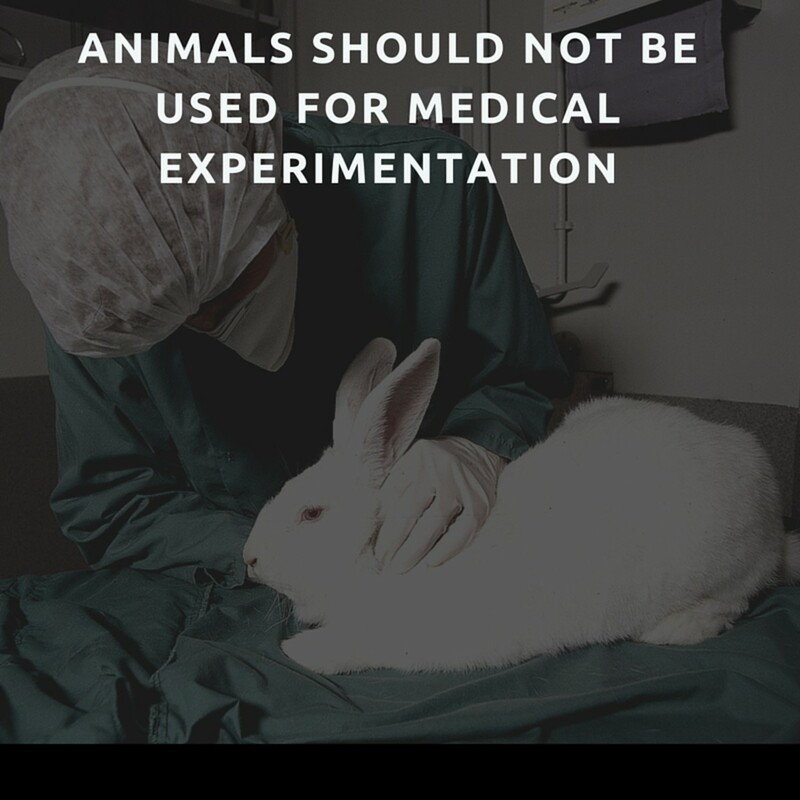 I can't believe some of the things people will do to animals for the sake of making money, it sickens me. Good job for spreading awareness about soring, it sounds like a terrible practice. This is a very important lens. It is amazing that almost no one outside of gaited horse enthusiasts are aware of this barbaric practice, and many horse people complacently think it is a thing of the past. As if outlawing a practice ever made it go away. I show Tennessee Walking Horses so I know for a fact that they are NOT sore. People on this website don't know what their talking about. Yes, a long time ago the trainers used to sore the horses to make them do a bigger "lick" but now the government has taken to much control and is turning down horses left and right when their feet look fine. The trainers take great care of their horses now and because of that their feet do NOT look like that pictures shown above! If you don't believe me go to a show and you'll see there isn't anything wrong with the horses now. @delia-delia: I know exactly how you feel. I had initially planned to breed, train and sell horses but could not follow through because of the way things are in the industry. For every good home and responsible owner there are a hundred neglectful, heavy handed creeps *sigh*. 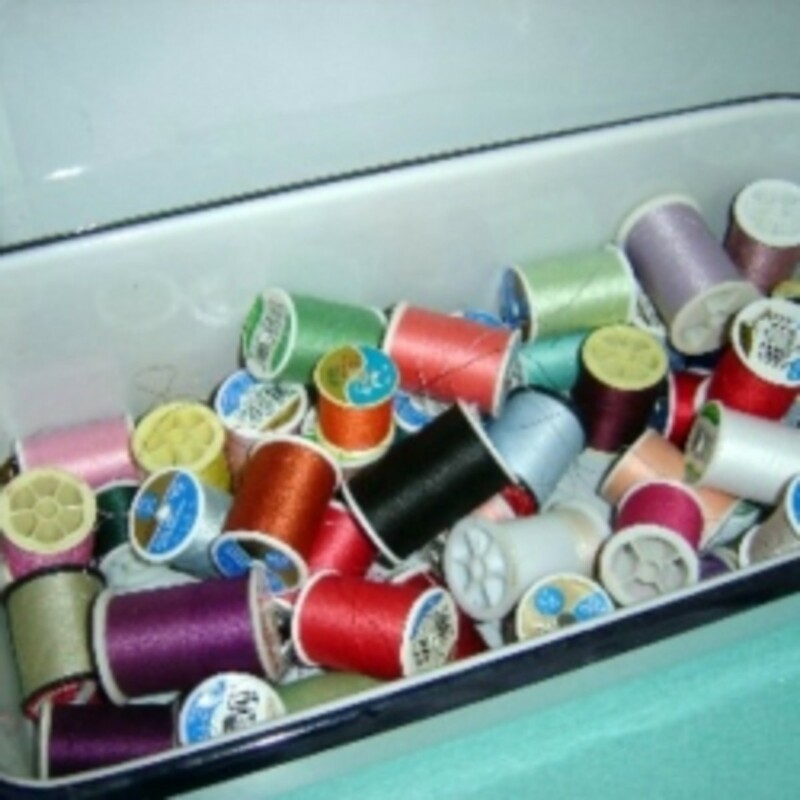 Knowledge of the ongoing soring problem is still largely limited; it just blows my mind what people will do to their horses for a .99c ribbon. 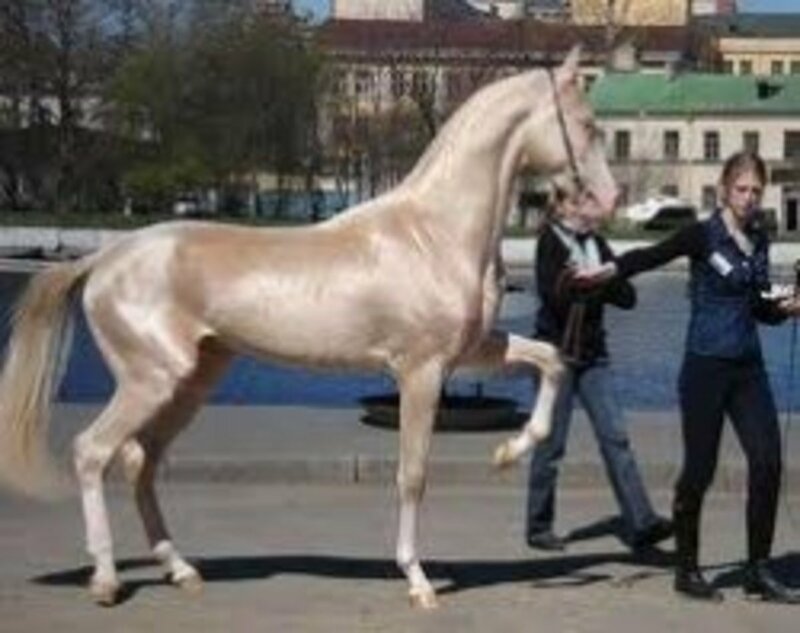 I am extremely partial to the Arabians myself, and we've run into breeding issues with our Bella (those delicate teacup muzzles tend to cause major mouth problems; she had retained caps). I'm crying as well... I'm mad as hell that this STILL exists...in the late 80's this was suppose to come to an end...what happened? Greed does this, and people don't care what they do to win...it's not only this breed, all breeds have their evil, that's why I got out of breeding Arabians. Why on earth do people allow this, why aren't more in an uproar? I'm crying! I cant bear to watch the video. How anyone can condone this sort of inhumane treatment to any living creature is beyond me. Angel Blessings from me and my thanks to you for the work you do. OMG I couldn't watch all the video, hardly got more than a few seconds in and I had seen enough. Having owned and nursed back to health (before handing him on to a new owner) a neglected horse who has a horrible looking injury which caused him to lose a large portion of muscle on one foreleg, I know how a horse can be brought back to health again. Our vet wanted to put that horse down but had to eat his hat when I showed how working with the horse restored his muscle (what was left grew to compensate for the missing part). As an aside, the owner prior to me got the message about mistreatment and neglect direct from the horse's mouth, my darling, sweet natured and beautiful creature wasted no time when he saw his previous owner, he dived straight in and bit him on the ear. More power to your cause. That video was so hard to watch, but I am glad I did. I will NEVER EVER endorse those kinds of shows. I have never been to one, and now I never will. 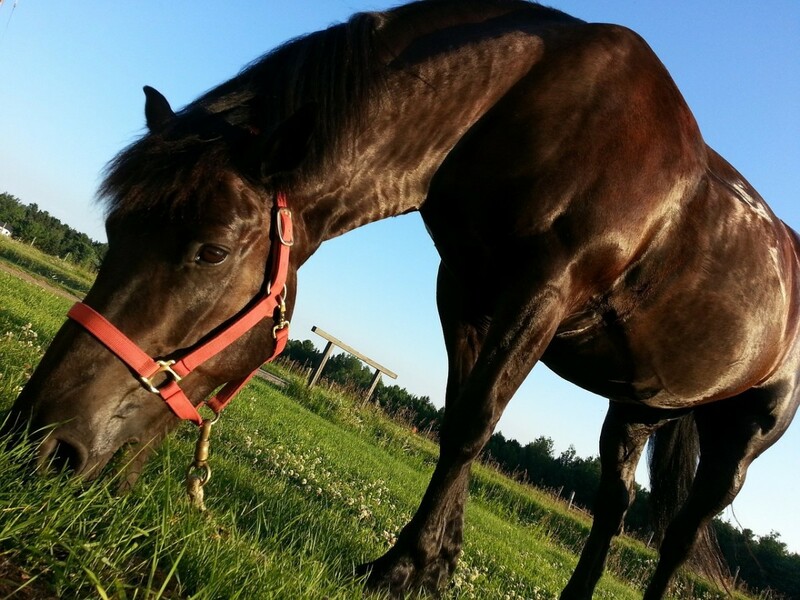 Bless you Shadow, you are such a wonderful, huge hearted horse to still love after treatment like that!